I haven't bought a jar of mayonnaise, other than a few exceptions, in a few years. I make my own, always. Eggs, oil, a little lemon, a little mustard, some salt, and some trial and error until you get the technique down pat. 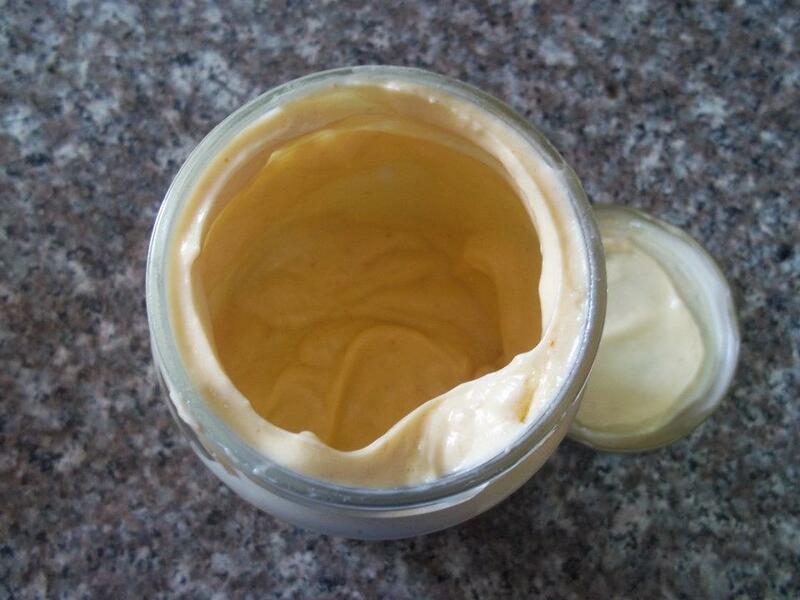 Homemade mayo tastes so much better than store bought, and I know I feel much better afterward because it doesn't have any of the crazy chemicals you typically find in the store bought stuff. But homemade mayo is a hard sell to some people, because they're worried about the raw eggs possibly getting them sick. Then there are people who are either allergic or sensitive to eggs, or vegans, who can't use an egg based mayonnaise, whether it's store bought or not. That's when vegan mayonnaise is good, because they're egg free, so free from the risk of salmonella, not to mention any of the health or ethical issues people have with eggs. I played around with a recipe from the e-book, "The Everything Food Allergy Cookbook" by Linda Larsen, (which I downloaded free to my smartphone) and came up with this terrific vegan mayonnaise. Its perfect! Same exact texture as mayonnaise, the only difference is that it's got a slightly more mustardy taste than regular mayonnaise. Works well in place of regular mayo in all recipes, whether its pasta or potato salad, in salad dressings, in egg salad, in tuna salad, you name it. 1. Combine the rice flour, lemon juice, and 2 tablespoons of water. Let sit for a few minutes. 2. Heat the mixture in a small pot, stirring well, until it gets thick. Don't overcook or it will get too hard and stick to the pot. You'll get something with a texture like mashed potatoes. 3. 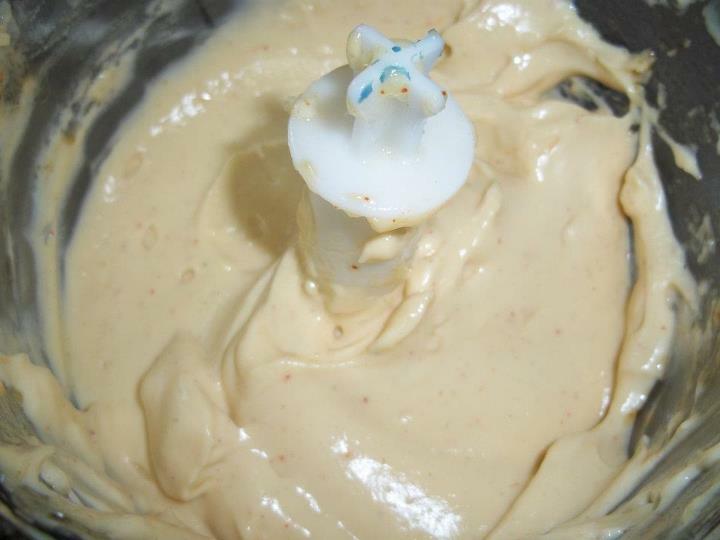 Mix the mustard with the "mashed potatoes" in a food processor or blender. 4. Add oil, a little bit at a time (no more than a tablespoon at a time), to the mixture, blending after each bit of oil added to emulsify it. This type of mayo is different than regular mayo in that when you make regular mayo, the mayo gradually thickens as you add the oil, but this mayo starts off thick and thins out as you add the oil. 5. After you add about some, add 4 tablespoons of water and blend. 6. Add more oil, a bit at a time. Soon your mixture will start to get close to the texture of mayonnaise, but you'll see that the oil isn't combining anymore, and the oil is pooling on the top. Then add 2 more tablespoons of water, blend, and then add more oil. Stop when the texture is shiny, light, and fluffy-ish, exactly the texture of regular mayonnaise. 7. Add salt, then add a drop of paprika or sweetener if desired. 8. Use as you would regular mayonnaise. Variations: You may be able to make this mayonnaise with potato starch, tapioca starch, or wheat flour in place of the rice flour, but I haven't tried it, so I don't know. If you do try it, please let me know how/if it worked out. I haven't tried this with regular mustard instead of dijon. If you try it and it works for me, please let me know how it went. You can use whichever oils you want to for this, but if you'll be refrigerating it, don't include more than 1/3 of an oil that solidifies, like coconut oil, chicken fat, or tallow. Make the rest be an oil that doesn't solidify when cold. I use sunflower oil for mine. This keeps for about a week or two in the fridge, closed. Do you use mayo often? What is your favorite way to use mayo? When you use mayo, is it usually store bought or homemade? Why do you use the type of mayo that you do? 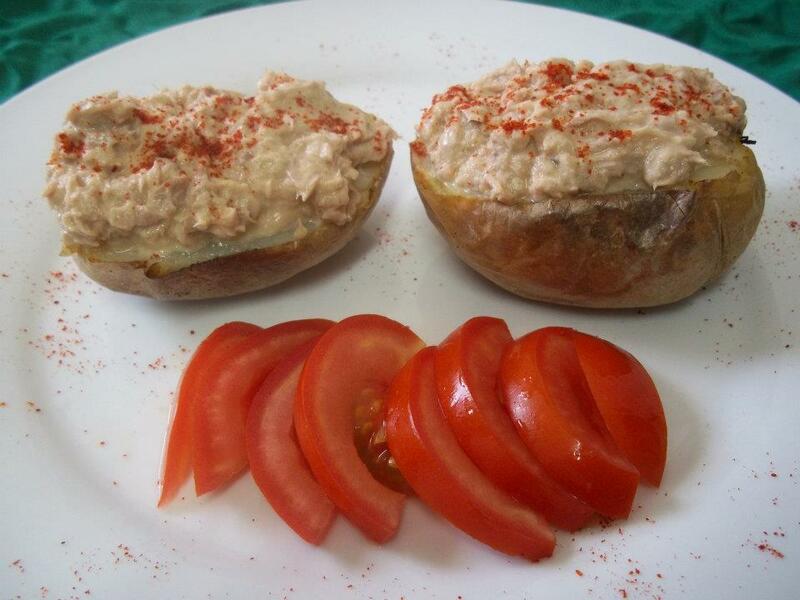 If you'd considered making mayo at home before but decided against it becuase of the salmonella risk, would you try out this recipe with no salmonella risk? Or are you a vegan or otherwise egg free who is using vegannaise? If you make an egg free mayo, what do you put in yours? Wow, is there no way to delete the spam?? Thank you for the recipe! Unfortunately there's a typo on #5 where it says "After you add about some, add 4 tablespoons of water and blend." After we add how much oil, please? My family is on a 21 day cleanse, no eggs, peanuts, gluten, corn, dairy, sugar or soy. So this really helps! Thanks again. Yes how for #5 what do you do? Does this taste like mayo? what is the taste similar to? Could you lacto ferment this and have it last longer? Mine came out awful, 8 0z of EVOO down the drain. In all fairness, I tweaked it for what I had on hand (coconut flour instead of rice because I can't eat rice). I wound up with a bright yellow dijon soupy mess that tasted like dijon mustard. My downfall for the consistency could've been the coconut flour, however, the dijon taste is just SO strong I don't see this tasting anything like mayo. Anyone else tried it? Yes, the dijon taste is strong, but its just a mustardy mayo. Great recipe. My daughter is allergic to all mayo and all the mayo substitutes. The only thing I don't do is put the mustard in because she is allergic to mustard also. This recipe has been a huge help for our family, thanks! Does this work without the mustard? Thickens up? If so - I'm game to try it!